Some time ago I have already presented the mysterious video of MV Agusta. RVS Reparto Veicoli Speciali – much more was not to be seen. Now there is more information or the first machine from their hand. The RVS # 1 was introduced. 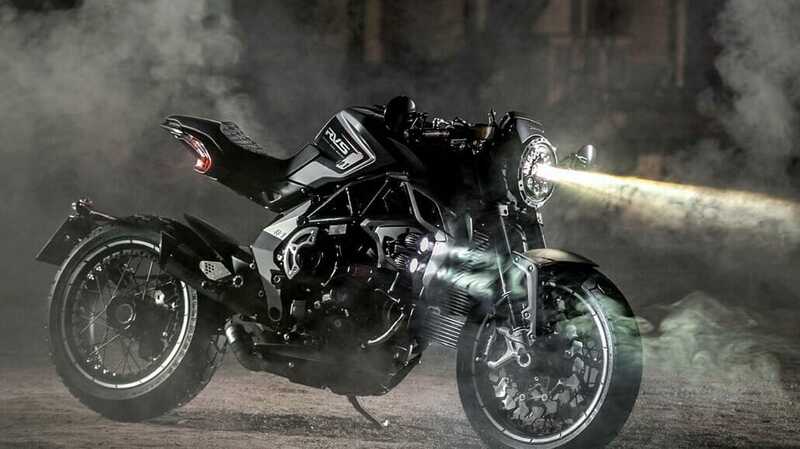 It is based on the Brutale 800 Dragster and comes with the latest three-cylinder engine. 150 bhp at 12.800 and 87 Nm at 10,000 rpm and Euro4 compliant. In the hand-built motorcycle, where parts were even engraved, one could save 8 kg and thus comes to 160 kg. The LED front and the side-mounted auxiliary headlights are striking. This really noble parts were installed, you can also see on the exhaust from titanium.